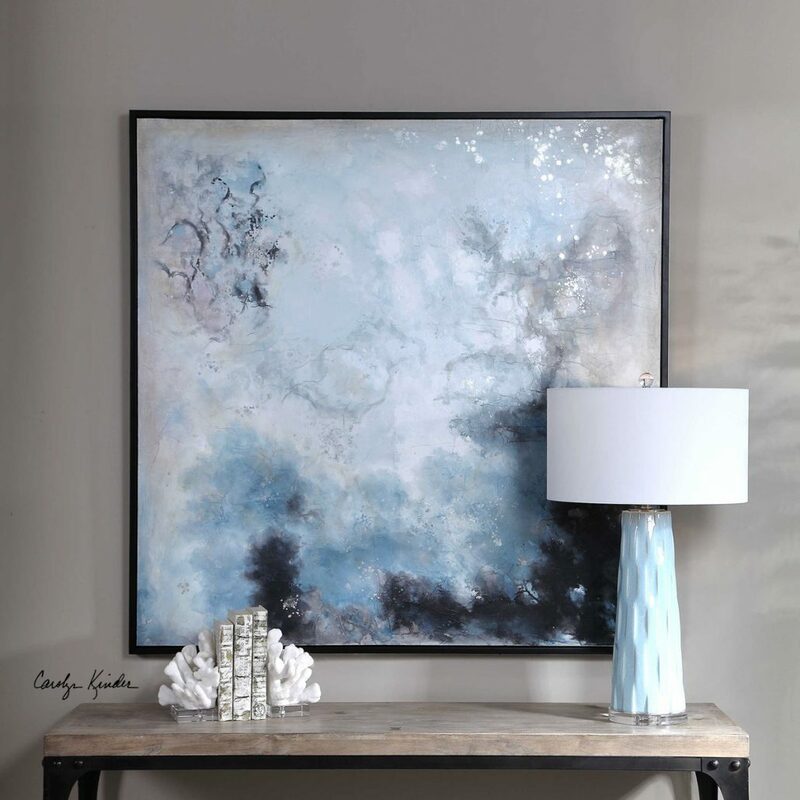 This modern, abstract painting features a crackle-texture finish that is awash in shades of ivory, deep blue, and charcoal. The canvas is completed with a black gallery frame. Designed by Carolyn Kinder International. Available to trade professionals at Uttermost.com. To shop retail, Google Keyword Carolyn Kinder Seaside Storm Painting.